Divorce comes with a finality, with the knowledge that your marriage is definitively over. It may be the absolute right choice, but that doesn’t make it easy. This one decision throws your entire life into upheaval. Sign that paper and your life is never the same. While divorce is the most common way to end a marital relationship, it’s not the only one. In some cases, legal separation may be an option. 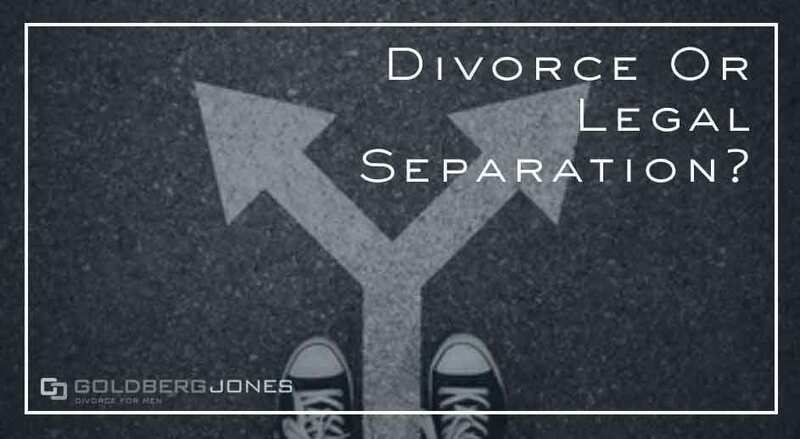 While divorce is concrete and final, and though they often look similar, legal separation is less decisive. In most ways, legal separation ends a marriage. You live apart, decide on custody, split your belongings, and all the rest. The key difference is that you technically remain married. This may sound strange. If your marriage is finished and you want out, why not simply rip the Band-Aid off and get it over with? That’s why divorce works in most situations. But there are scenarios where it isn’t the best option for one reason or another. That’s where legal separation comes into play. Related Reading: Should I Hire a Divorce Lawyer? As said, divorce and legal separation often resemble one another. A couple breaks up, lives apart, divides assets and property, and creates a parenting plan. Child support and spousal support are often a piece of the process. You even have to fill out legal paperwork and file the appropriate forms. On a day-to-day, mechanical level, legal separation and divorce function in a similar fashion. The biggest difference is that in one case, the marriage remains legally intact, while the other ends it once and for all. In divorce, that’s it. Exes are free to go about their lives unfettered by marriage. You can move, work, date, and remarry without complication. Or at least without legal complications from your marriage. We all know those things have their own complications. When we talk about legal separation, though things often look the same, the legal connection remains. You can’t marry another person, you check off the married box on any forms, and no matter how separate your lives become, there’s still that lingering bond. Though divorce is by far the most common option, there are reasons to choose legal separation instead. For some couples, legal separation serves as a means to an end. It can function as a step towards an eventual divorce in the future. You can take the time to figure out the specifics of the impending divorce, like financial matters and custody concerns. In other cases, however, it becomes a lasting state. Legal separation can provide couples the space to deal with issues in their marriage. Living separate lives for a time may give the people involved the chance to work on things they need to work on. In some cases, the ultimate goal is to reconcile not divorce. Some couples are unwilling or unable to divorce for religious, moral, or ethical reasons. People sometimes stay married for the sake of children—it can be less stressful and easier than explaining what divorce means to the kids. In some cases, people even care about each other very much, but simply can’t live together. The reasons are as different as the people involved in the marriages in the first place. One of the biggest reasons couples go the legal separation route is because of finances. Depending on the circumstances, it can offer the benefits of both marriage and divorce. Filing taxes jointly saves some couples money, though it depends on the circumstances. That said, there are also hurdles to deal with when filing taxes following a legal separation, but it is possible on occasion. Make sure to consult a tax professional ahead of time if you hope to go this way. Retirement benefits don’t usually take effect until a marriage hits a certain length. For example, Social Security kicks in at the ten-year mark. You can then collect based on your former spouse’s work history. If they’re close, couples may try to leg it out and hit this milestone. Military benefits, pensions, and other retirement allowances often have similar rules in place. A future windfall offers a strong reason to remain married. Healthcare is another potential reason to stay hitched. Or at least it’s a factor some couples weigh. For the most part, employer-supported insurance doesn’t cover former spouses, though some do in legal separation. Again, like taxes, there are potential hazards. Many policies treat divorce and legal separation the same way, so it’s important to examine the specifics of your plan. But in the case of chronic illnesses that require ongoing care, continuing health coverage is an enticing proposition. Some couples choose legal separation over divorce thinking it will save money in legal fees. It may, but it also may not. Especially if you need lawyers involved, the cost for both can be nearly identical. If not, legal separation may prove a cheaper option. But there are still expenses associated with the process, like paperwork and filing costs. One thing couples often don’t consider is that, if you separate then divorce down the road, you have to pay for that, too. You may wind up paying twice. So, Divorce Or Legal Separation? The big question of the day is whether or not legal separation is right for you and your situation? It’s a complicated choice with no one-size-fits-all answer. What’s right for one couple won’t necessarily be right for you. But for some couples, it truly is the best option. Both carry long-lasting consequences, and whichever road you choose, it’s vital to explore the ramifications. Take the time to look at all the variables, honestly examine your circumstances, and come to an informed decision. As with most legal matters, it’s probably in your best interest to at least talk to a lawyer. A professional can assess your situation and give you a clear idea of the benefits and drawbacks.